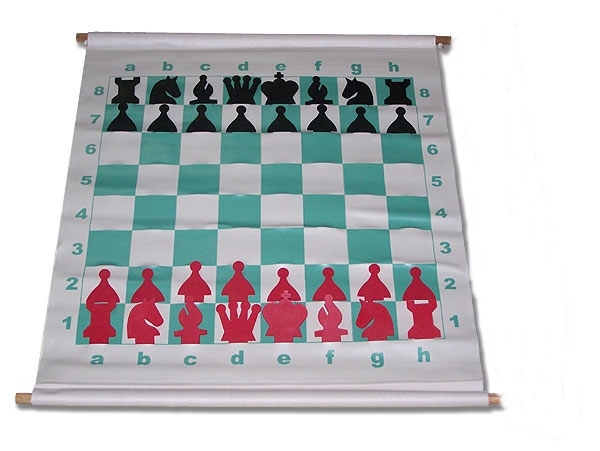 This 27" Slotted Demo Board has chess pieces with tongues which fit into the board through slots. 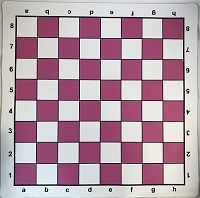 This board has 3" squares with large red and black cut-out pieces. 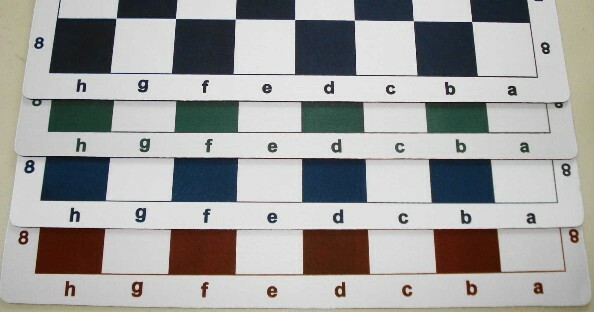 It is excellent for teaching small to medium groups, group analyzing, and displaying tournament games that are in progress. The top and bottom have wooden dowels for support, and a white cord is used for hanging it almost anywhere. Sturdy nylon Demo Board Carrying Bag. It has a zipper closure at the top and an adjustable handle for carrying it.